This is an outstanding post. 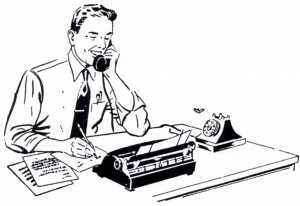 While I’m all for contacting people via cold calling and direct mail, I never thought about looking at press releases. I love falling across a post like this that offer ssomething out of the ordinary. Good job! Carson, your site is so valuable and helpful. This post gave me a whole new outlook on finding ghostwriting jobs. Question: how would I got about this method of finding folks who want to have written their memoirs or other nonfiction? Thanks! Keep up the fantasmal job! I hadn’t thought of the press-release critique one…maybe because I’m not that into writing press releases. But looking at Web sites and calling companies that have sucky ones is like shooting fish in a barrel. You can do it from home, it’s easy, and the clients are often super-grateful to get some help. They usually know they need it. Can anyone give an example of a good press release distribution site? Is there one that mostly caters to automotive news?